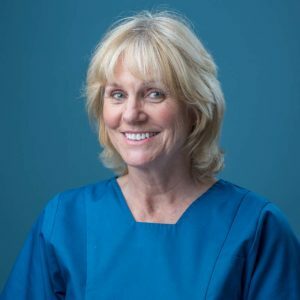 Susan is a professional and highly motivated Dental Hygienist who is passionate about preventative dentistry and strongly believes in the mantra “prevention is better than cure”. She has a family background in dentistry and qualified as a Dental Hygienist whilst working as a civilian with the Royal Air Force. Susan has extensive experience working in general practice, having previously worked in clinics in London, including the prestigious Harley Street. Other practices have included working in Zimbabwe and South Africa. Since joining Market Weighton Dental Practice in 2012 Susan has proved to be very popular with her patients. She prides herself in obtaining excellent results, working with patients to improve their oral health and to prevent avoidable tooth loss from gum disease. Out of work Susan enjoys walking, exploring the Yorkshire countryside especially with her dogs and family. Gardening takes up a lot of her spare time and when she is not walking or gardening, she is travelling.